The season for travel is almost here. Are you planning a trip to your dream holiday destination? Whether fantasies are revolving around picturesque views, an adventurous trip or mouth-watering local delicacies, the holiday accommodation is as important as the actual itinerary in completing the perfect dream destination experience. A dream destination accommodation isn’t all about cosy beddings or a room with a view. In case you haven’t noticed, the bathroom also plays a vital role for rejuvenation at the end of a long touristy day or when travellers are looking for a home away from home. While bathroom aesthetics, plush towels and branded toiletries make the scene for a luxurious bathroom, the standard for destination bathrooms have become increasingly demanding with tech-forward amenities such as smart bathroom wares. Think comfort, convenience and hygiene. Bathrooms with intelligent features that provide relaxation and cleanliness with much ease certainly top the list for a rejuvenated body. And for many holiday destinations, bathrooms like these are slowly but surely making their way to the vacation-makers’ checklists. Introducing the Spalet – a range of shower toilets, e-bidets and manual bidets that take care of all your personal hygiene, providing the ultimate cleanliness. Think comfort, convenience and hygiene, what more can a dream destination need? A Spalet should be on your radar for an unforgettable getaway. A Spalet has all the right features to impress and spoil you when you are away from the comfort of your home. The technology embedded in this toilet wonder is every traveller’s dream! 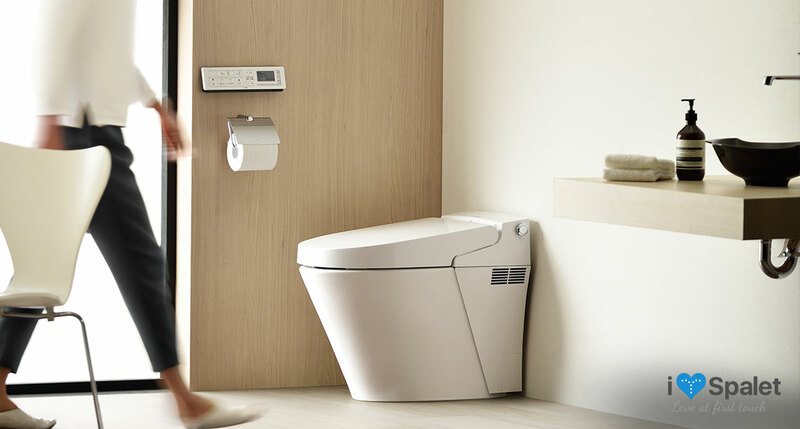 American Standard’s range of Spalet products are equipped with hygiene features like self-cleansing nozzles, posterior cleansing and feminine air bubble soft cleansing, anti-bacterial protection on toilet seat, cover, nozzles and remote control, and more. With its heated seat function, you most certainly will not get a cold shock during the winter nights visiting a cold country. There is also no need to get your hands wet or dirty with the remote control, so there is no unnecessary worries about coming into direct contact with harmful bacteria. This is especially important when one is on holiday! Additionally, convenience is much appreciated for all travellers. Like with a choice of transport, one will opt for the simplest way to get from point A to B. Our Spalet range of products welcome you by automatically opening (and closing) the lid, and the entire cleansing process is completed with just a touch of a button. Whether you’re travelling with expectant mothers, the elderly or children, everyone can vouch for how user-friendly a Spalet is and the simple pleasures of a seamless bathroom experience it brings. 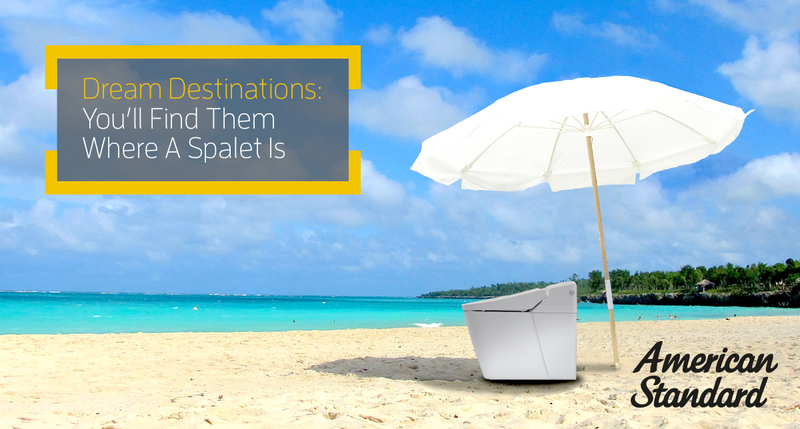 So, if you haven’t decided what your dream destination looks like, or which accommodation provides the utmost comfort, hygiene and convenience, you know what to do: Go with a choice where the Spalet is!